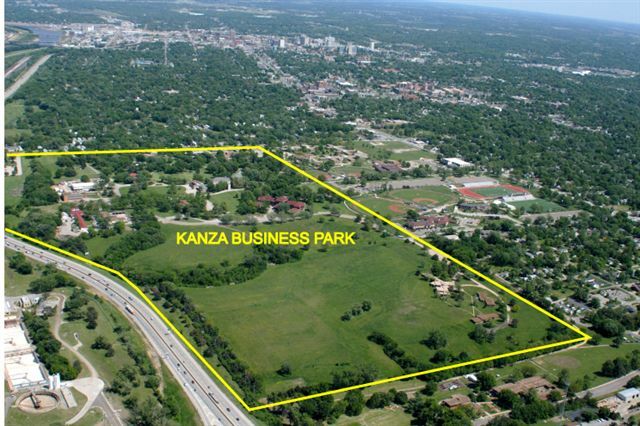 In 2009, Topeka Public Schools purchased the Kanza Education and Science Park and began developing the site to be an education destination for students and people from across Kansas and the Midwest. Situated on 150 acres and centrally located between two world-class hospitals, businesses at Kanza Education and Science Park enjoy healthy relationships with the medical community and area educational institutions. These relationships enable relocating businesses to form valuable partnerships and allow access to resources and a workforce unlike any other in the region. Utilities are already available, and four-lane access has recently been added to the site. Development for the future of science and bioresearch is already underway. THIS PARK MAKES THE GRADE. Already home to Westar Energy’s Education Station and Stormont Vail’s Cotton-O’Neil Medical Complex. Campus setting provides attractive environment. Contains an extensive prairie research area for students to learn and park tenants to enjoy. This is the largest urban prairie in the United States. 152 total acres with sites available, zoned as a Planned Unit Development with office and institution use groups. Shovel-ready sites with water, sewer, natural gas and electric in place. Extensive fiber optic network—Topeka ranks with New York City and San Francisco for fiber optic cable per square mile. Developed entryway and roads throughout the park.